Warren Buffett of Berkshire Hathaway (NYSE:BRK.B) is always bullish on America. He is buying big oil like Exxon (NYSE:XOM) because he sees value. Oil and hydro carbon consumption only comes with economic activity. He already is big on Suncor (NYSE:SU) and the Canadian Oil Sands. Being a major railroad investor with Burlington Northern Sante Fe (NYSE:BNI) he knows all about commodities and oil shipments by rail cars. He therefore would have a view on the Keystone XL pipeline and its impact on oil, energy and the economy. By accumulating this portfolio he must have concluded that the Keystone XL pipeline will come to fruition and benefit his positions. Warren is a sly olde dog. 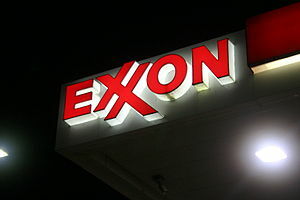 Apple (Nasdaq:AAPL) market cap is challenging Exxon’s. (NYSE:XOM) Many are declaring a new world order. We go to war over oil. We allow our young people to die in strange lands for oil. We refuse to conserve oil. We want to drive not push our cars. iPad or iPhone if they malfunction meh live goes on. Usually something with Android. Careful about conclusions based on comparative market caps. Disclosure: George Gutowski writes from a caveat emptor perspective. I have no positions in any stocks mentioned in this post. I have no plans to initiate new positions within the next 72 hours.